(Toronto, Ont.) 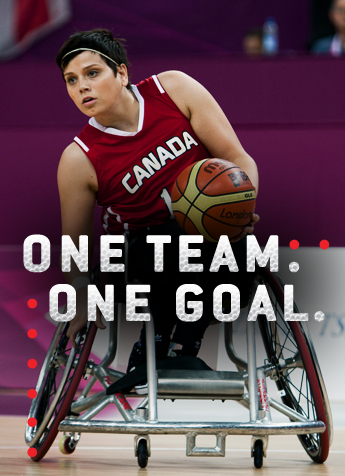 A dominant first quarter in their semifinal matchup against Argentina was essentially all that a resolute Canadian Parapan Am Women’s Wheelchair Basketball Team needed to determine their place in Friday’s Toronto 2015 gold medal final against the USA. 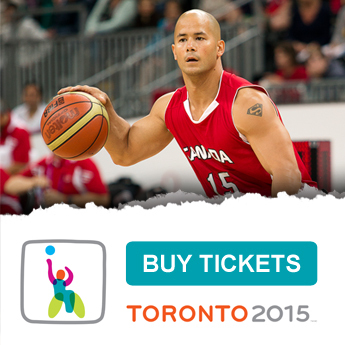 Canada claimed their fourth consecutive victory of the tournament in convincing fashion by toppling Argentina 82-28. Canada remains undefeated and earns the chance to play for gold and glory in front of a hometown crowd. “It’s very exciting any time you get the opportunity to represent your country, but to be able to play for gold in front of fellow Canadians is truly special. It’s something you grow up dreaming about doing. All week the fans have been so loud and so amazing. The support we have been getting from everybody makes all of us want to perform that much more,” said Toronto’s own Tracey Ferguson. Canada must now face a familiar foe in the USA, the tournaments only other undefeated team, who they split victories with over the previous four consecutive Parapan Am finals. Canada claimed gold in 1999 and 2003, while the USA beat them in 2007 and 2011. Canada opened the game against Argentina with a 17-point run and never looked back. Arinn Young, of Legal, Alta. Scored eight points in the first quarter alone to help the Canucks establish a comfortable 27-5 lead after ten minutes. Young was masterful and despite seeing just less than 14 minutes of court time, she scored a game-high 22 points and team-high eight rebounds. Cindy Ouellet, of Quebec, Que., paced the floor with four assists and five steals to go along with her 11-point performance. Two other Canadians, Janet McLachlan, of Vancouver, B.C., and Rosalie Lalonde, of St-Clet, Que., each put up ten points. “We want nothing more than to win gold on home soil. Because we have had lots of opportunity to play the Americans over the years, we know they are a good team, but we also know what we have to do in order to beat them. The key to our success will be building on what we’ve accomplished so far, sticking to our game plan, and trusting in one another,” said Ouellet. Canada’s stalwart defence allowed Argentina only eight points in the paint and permitted zero second chance points to improve Canada’s point differential to plus 150. Through four games Canada has outscored their opponents 322 to 136. 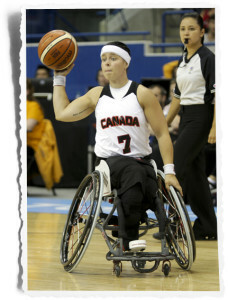 Canada has seven returning players from the squad that took home silver at the previous Parapan American Games in 2011, while the USA has five returning players from the tournament. OH YEAH!!!!! Off to the Gold medal game. In Canada. Downtown TO…. #isthisamovie?